Bullet journals have become a popular organization tool. They can be simple spiral bound notebooks or specific planners that have a dot grid pattern. These dots or grids make it easy for you to design beautiful pages that help you keep track of the various areas of your business and life. Here’s 3 ideas to try in your business. 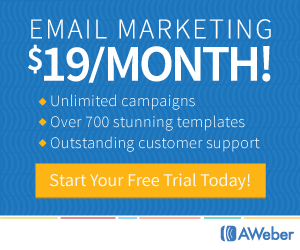 As a busy business owner, blogging can too easily be pushed to the back burner. I know I am guilty of this too. I need to spend time working with my clients, and working on product creation is important. I also have a few niche sites that sometimes get my “writing brain” so my main site doesn’t get the full attention it deserves. But at the end of the day, the truth is these are all excuses – it is up to me to make sure that I find a way to keep my blog regularly updated. This is where bullet journaling comes in. 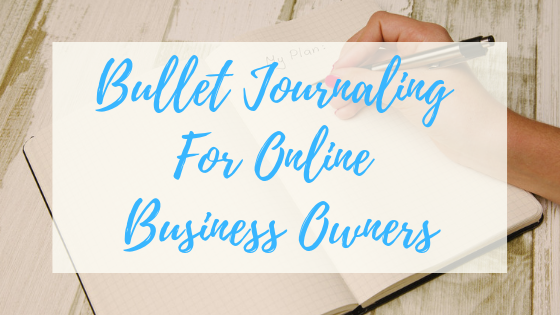 I create a tracking page in my bullet journal that allows me to make notes as to whether I have written and scheduled a post for that day, or if I just have a topic idea – this way my content is planned in advance. I don’t blog daily except when I’m involved with a blogging contest or challenge. On a “regular” month, I aim to blog 3-4 times each week – a bullet journal tracking page will help me reach this goal. I know that when I was first given the advice to focus on the 3-5 most important tasks of the day, I thought people were crazy – I had way more than 3-5 things that must get done every day. But it turns out, the more I “tried” this method, the more it worked. 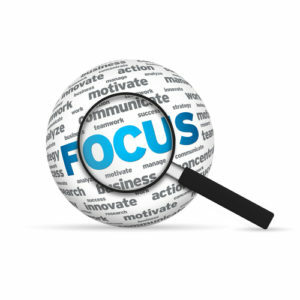 I was able to focus on a few specific tasks and become more productive. I use my bullet journal as a place to write down all the things I want to get done, without an edit or a specific plan, then I take all those ideas and decide where I want to focus my attention. If you find yourself, jumping from task to task all day long without accomplishing anything, you may want to consider using your bullet journal to help you prioritize your day. If you find yourself wanting, or perhaps needing, to make changes in your business, finding a starting place may be scary or difficult. 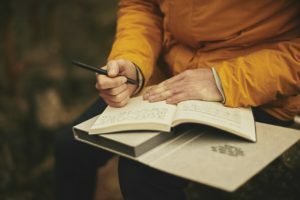 Using a bullet journal can be a great place to brainstorm the changes you want to make – and the results you are trying to achieve by making these changes. 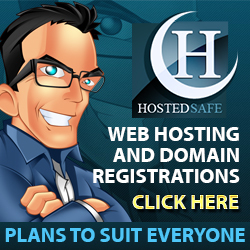 For example, perhaps you want to add affiliate marketing to your business. You can brainstorm products you would like to promote, and make a schedule of how and when you will promote these items. If you are looking to add more passive income, you may want to create blog posts and share the posts on social media sites and/or share the posts via email. Perhaps the change you want to make, is to better track your income or expenses. If you use paid advertising, you want to make sure your ads are producing income – you can use your bullet journal to track your results. Or, use the bullet journal calendar to remind you to check your results on a regular basis. 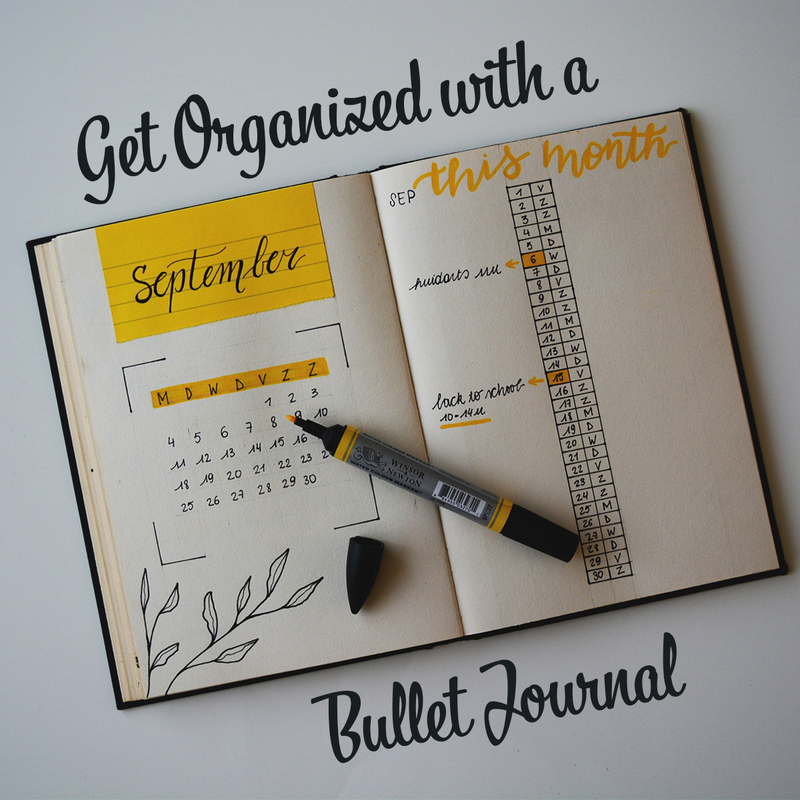 The more you use your bullet journal, the more ways you will find to use your bullet journal. I find that I prefer to at least start my thought process on paper, so the bullet journal allows me to do that and to keep everything in one place – no more wondering where I wrote that down. If you like the idea of trying a bullet journal, social media sites like Pinterest and Instagram can offer tons of ideas. This is my Pinterest board for bullet journals here. You can also search using these common hashtags: #bujo #bulletjournaling #bujojunkies #bulletjournal. 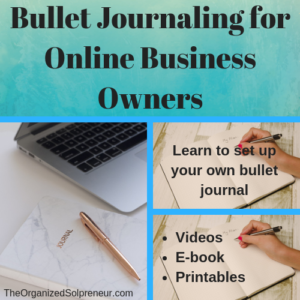 If you want to learn how to use a Bullet Journal in your Online Business, click here. 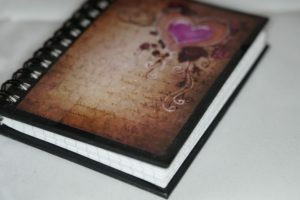 There are many different types of journals and styles of journaling, to help you find what fits your personality best. You can use a traditional journal, or you can use a journal geared towards a specific subject or topic. And of course, Bullet Journaling, great for those who prefer an analog system that can be customized to suit many needs. Any journal that you use consistently can help improve your mindset. So far a lot of what I’ve been talking about recently, courage and self confidence, has been theory and mindset stuff. And, while this is important, courage is more than mindset, there must also be actions to go along with the theory. Today we are going to pick something we are afraid of, and take an action step to move past our fear. In other words, we will be practicing courage. 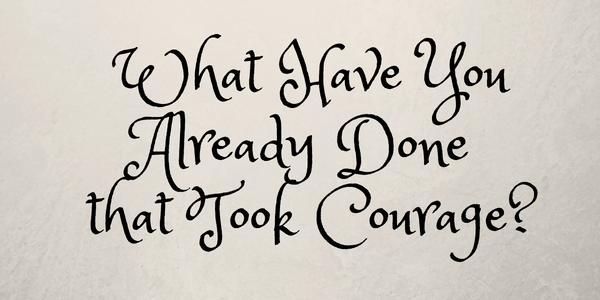 What Have You Already Done that Took Courage? Realizing how far I’ve come and how much I can actually accomplish when I put my mind to it, is always a HUGE confidence booster for me. I’m sure it’s no different for you. To be honest, there’s a lot each and every one of us has done over the past few days, weeks, and even years that we can be proud of. Small acts of courage or big acts of courage, they all count. But we often don’t see it for ourselves. In my previous post, I talked about the relationship between courage and self confidence. One aspect of that was that we can use courage and doing things that scare us a little to boost our feeling of self-worth and confidence. In other words, we can increase self-confidence by being courageous or doing something that takes a little courage more often. 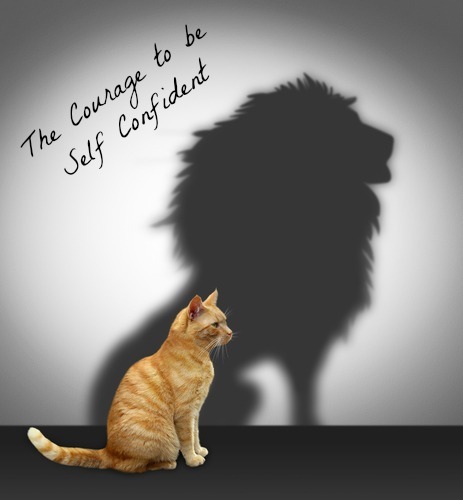 Today let’s take a look at the connection between courage and self-confidence. Too often we think of courage only in the terms of extremes, like saving someone from a burning building. And yes that does require courage, but so does admitting you need help to get your business organized. If you are fearful and go ahead and do it anyway, you are courageous. Trust me, there’s an important reason why we’re exploring this idea. Take a moment to think back on a time when you were scared to do something but you gathered up your courage and did it anyway. Have You Been Putting Off Starting Your Journal? Are you someone who has been wanting to start journaling, but for some reason still haven’t gotten started? I hope these ideas will help you to take the next step and actually start your own journal. Journaling can be a great way to reduce stress and help you get focused. These simple ideas will hopefully motivate you to start journaling and keep it up every day. What is Your Reason for Journaling? 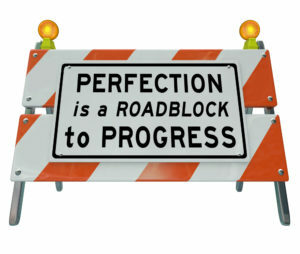 Is Perfectionism Stopping Your Business From Growing? It doesn’t get any better than perfect, right? A project or task done perfectly is the most we could hope for. Perfection is what we all should strive for whether we’re working for ourselves or someone else. Sound familiar? These are a few of the thoughts most people have about people who are perfectionists and perfectionism in general. And while, in theory this sounds good; the reality is, perfectionism has a few drawbacks. The dictionary says perfection is an unsurpassable degree of accuracy or excellence. It’s the act or process of perfecting something to a level for which most of us refuse to attain. Perfectionism has been defined as when someone strives toward goals that are usually impossibly high but won’t settle for anything less. If it’s less than perfect they view it as unacceptable. If someone else does a better job, the perfectionist can go into depression and become useless on the next assignment or project. They feel they cannot be outdone. Rather than finish a job with imperfection, they had rather do nothing than risk not meeting their own self-imposed standards. If you’ve been described as a perfectionist and want to change the way you are, the first thing you need to do is be aware of this condition and potential problems. It can be a blessing or a curse. It depends on how you handle it. Perfectionists may be viewed as procrastinators. 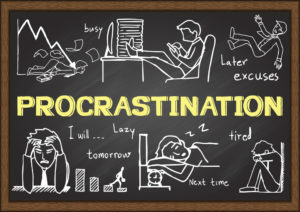 Procrastination can be misdiagnosed as laziness. You may delay getting started on a task because you’re working to get it done perfectly. Work is never begun because you’re spending time planning every minute detail. You put off working because the project may be overwhelming with its magnitude and you don’t feel you can do it justice in the time allotted. You won’t settle for a vague estimate, you demand detailed figures before you begin. Typically, if you’re working for someone else, you must at least get something done every day. Set deadlines for yourself on a portion of the project and see to it that these deadlines are met regardless if it meets your standards. Working for yourself, this could lead you to the poor house. You have to meet deadlines. You have to keep appointments and meetings. If you let perfectionism be your only goal, your business will suffer. What’s unacceptable to you may be perfectly fine for others. To help you meet your deadlines it might be wise to ask someone to keep a check on you to make sure you’re keeping on schedule. An accountability coach can be a great asset if you know yourself to be a perfectionist. You may also want to have a business coach that you can trust to keep you moving forward. Learn to be flexible and how to bend your own requirements until you reach a compromise. Allow yourself to do a less than perfect job and then listen to the critiques of your friends and co-workers. They’ll probably wonder how it could be any better. Concentrate on the work you’re accomplishing and don’t worry about the end product. By doing this, the task you’ve tackled will eventually be complete and you’ll find you can function with perfectionism in a less than perfect world. You can still do a good job, and often times you will impress many people with how thourogh you were even if you feel you have missed the mark. Getting your business organized may feel like a project that needs to be perfect, but you will find that like most things in life, there will always be updates to some element of your organizing system, so get started today and your business will be organized before you know it. My favorite definition of mindset is “the established set of attitudes held by someone.” Even though your mindset has already been established in the definition, it doesn’t say that your mindset can’t change. That being said, it makes sense that clearing your mind of clutter goes a long way in helping you get more organized. 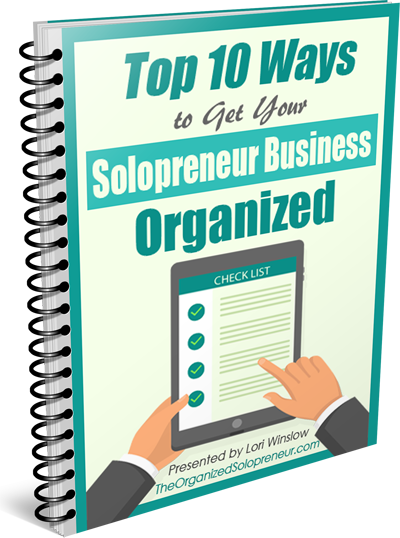 Let’s face it – when you’re not clear-headed, it’s very difficult to practice organizational skills. There is no reason to put it off organizing your mindset for another day. 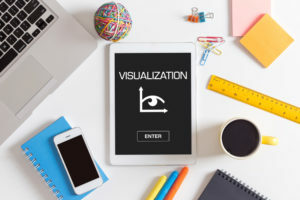 Visualization can be a powerful tool in helping you to achieve your goals. The ability to see yourself in the life you dream of can help you get to that lifestyle sooner than you imagined. Do you feel confident? If you are like most people, you are feeling less than supremely confident in at least one area of your life. This is normal, especially if your life experiences are taking you out of your comfort zone. If you have low self-esteem and feelings of low self worth, you may have trouble envisioning a rosy future.